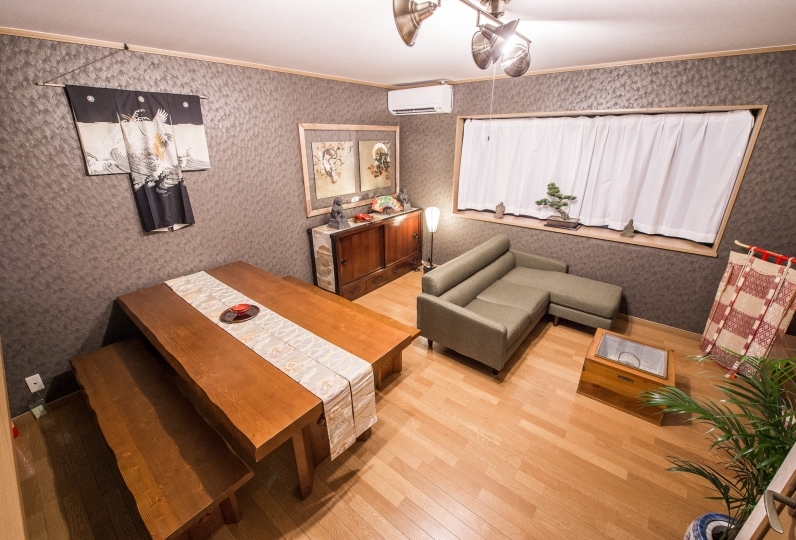 A renovated townhouse with a history of over 100 years that stands a short distance away from Gojo-dori. 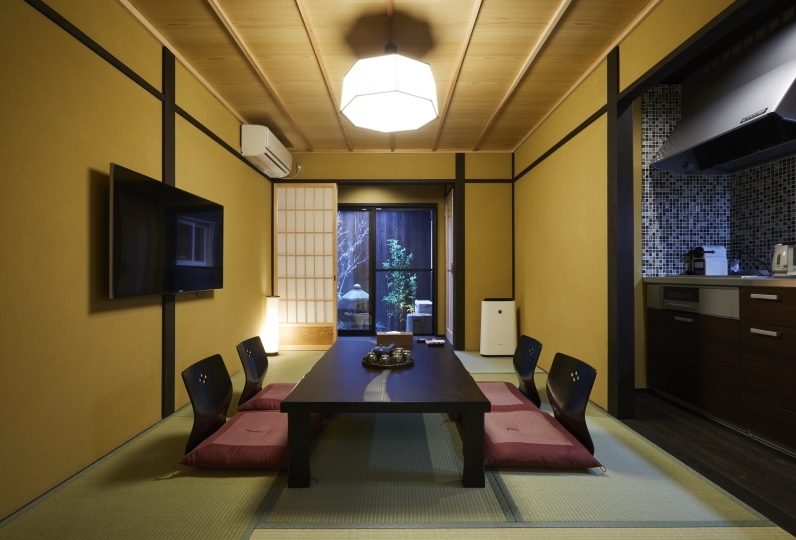 There is a traditional Japanese atmosphere in the rooms, accentuated by a bright green color. The beautiful view of the garden from the living room is as if you're looking at a picture. 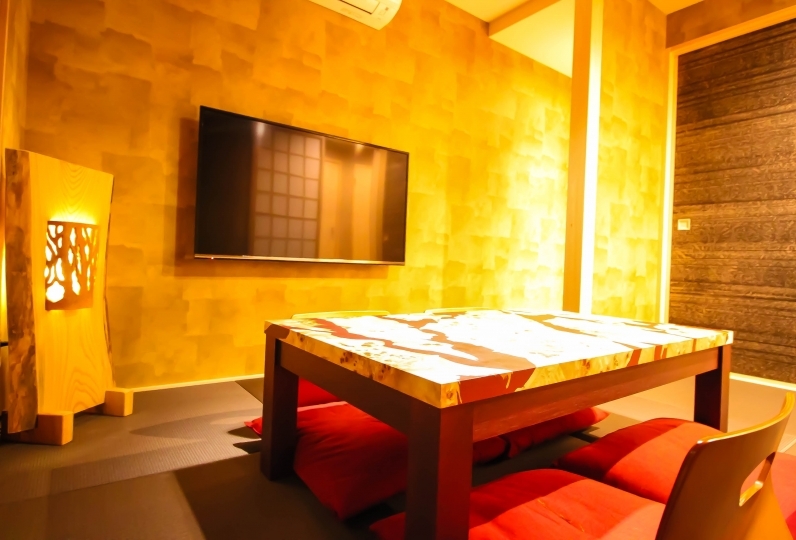 Enjoy a catering service in the Kyomachiya at night for dinner. Eat vegetables, grown right in Kyoto, to your heart's content with sukiyaki, hot pot, and more. For those who want to sample the flavors of a famous traditional Japanese restaurant, the traditional Japanese cuisine bento is recommended. 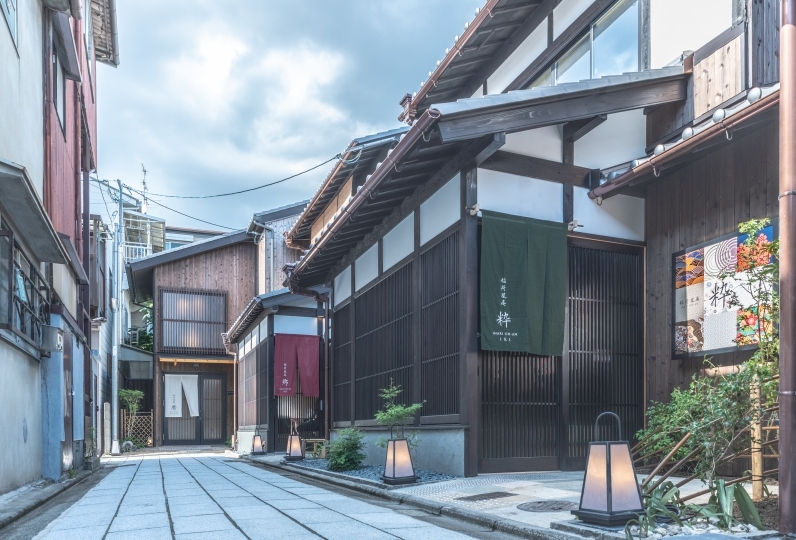 For breakfast, try the Buddhist vegetarian cuisine of Kyoto made with high quality ingredients, a Kansai-style omelet sandwich loved by the locals, and more. Enjoy delicious food from the start of the day. 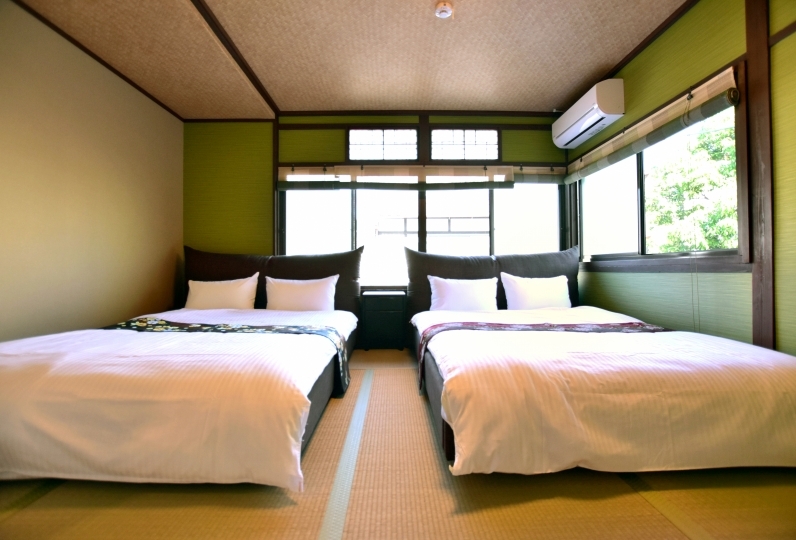 It is just a 10-minute drive from the lodging to Kyoto Station. 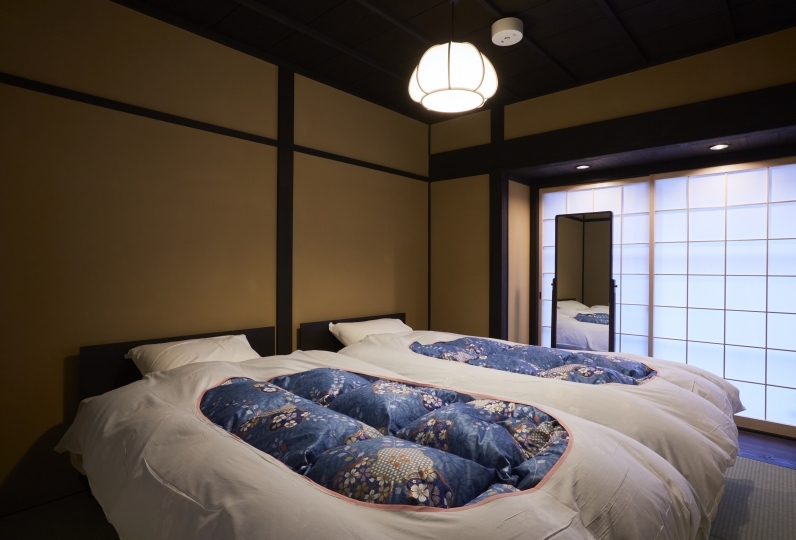 There are various sightseeing destinations within walking distance, including Kyoto Aquarium and Kyoto Railway Museum. 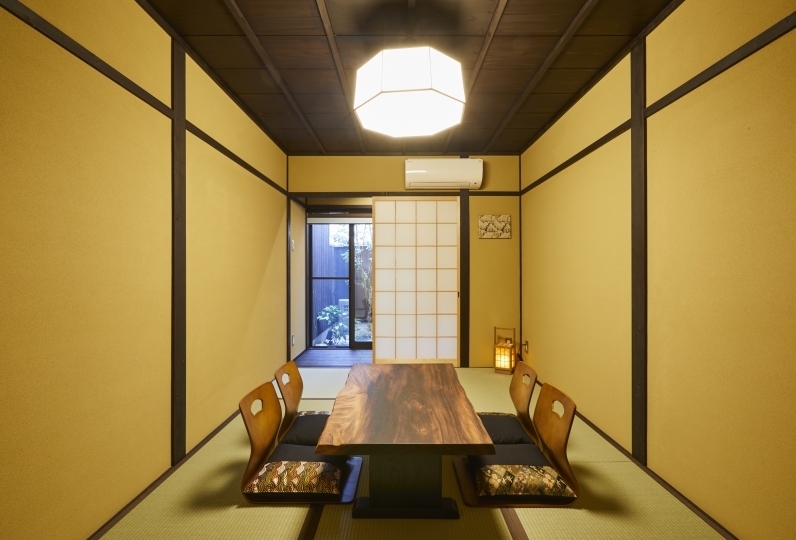 With a Kyoto townhouse all to yourselves, you can truly experience a Kyoto-style life. Please provide a phone number at which you can be reached on the day of your arrival. Information including how to check-in will be sent via email. Please make sure to read it carefully. 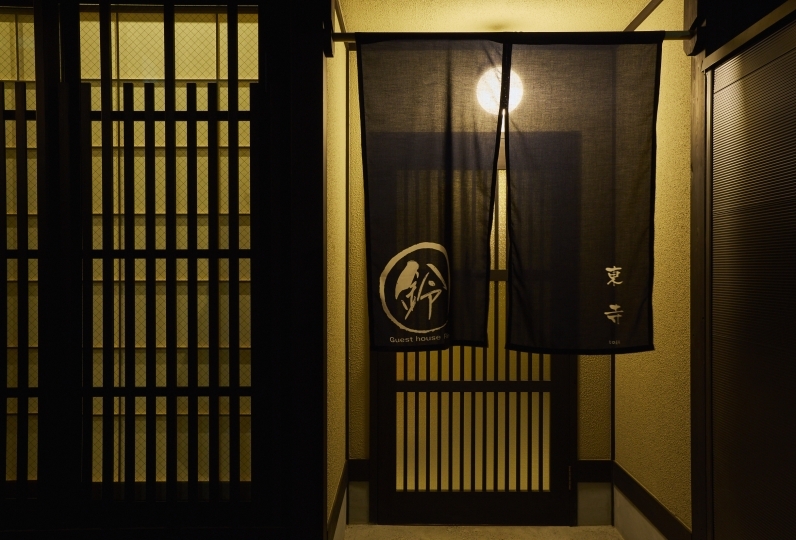 ・Please check-in before 20:00 as the lodging is located in a residential area. Please inform the accommodation if you plan to arrive after 20:00. ・Please contact the accommodation if you do not receive the above email. ・If you require a voucher for the designated car park, please inform the accommodation when making you reservation. 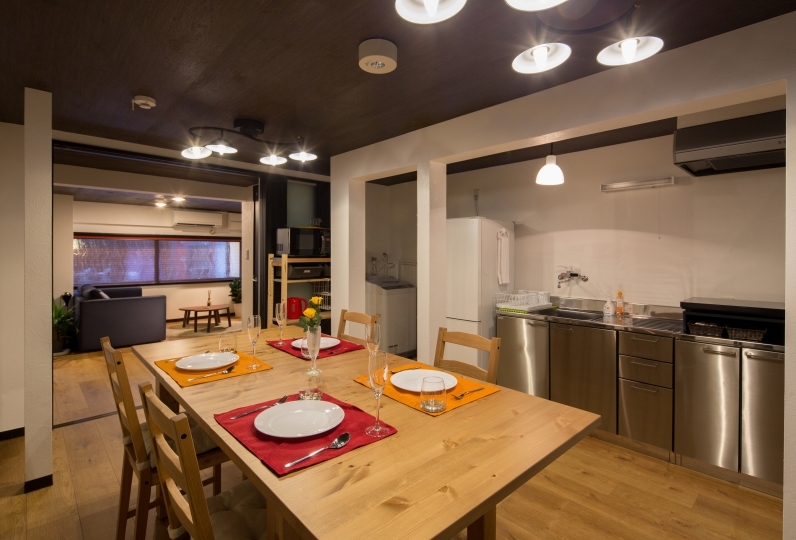 ・Please note that there may be a different cancellation policy depending on the accommodation plan and reserved days. Please read the cancellation policy carefully before making your reservation. 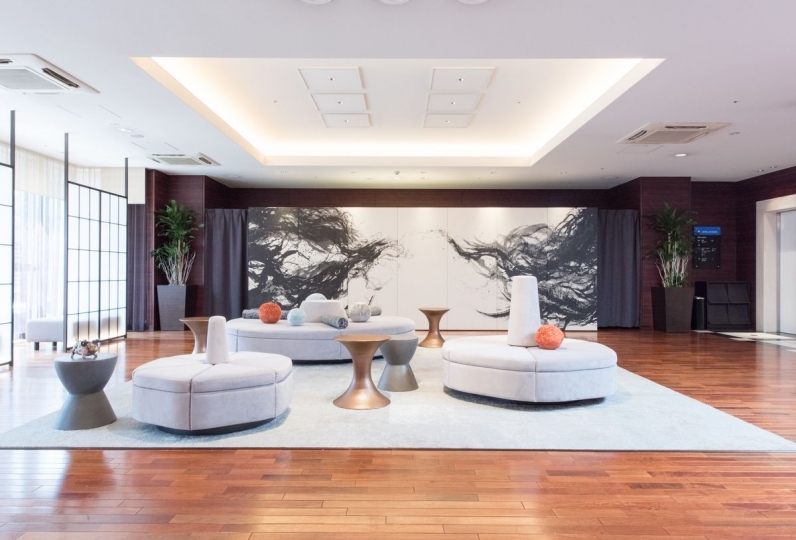 Additionally, the cancellation policy can also apply to reduction in number of guests, which may incur a cancellation fee. 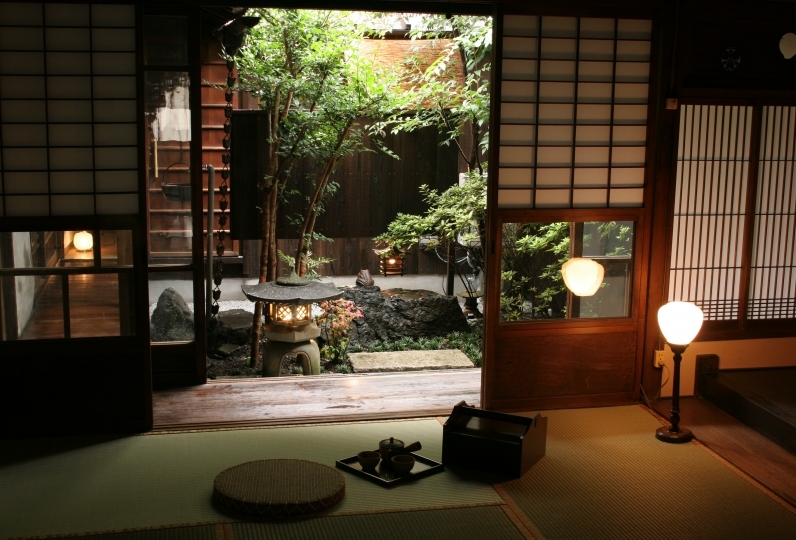 ・There is no smoking permitted on the premises to prevent fires, as the lodging is an over 100-year old Kyoto townhouse. 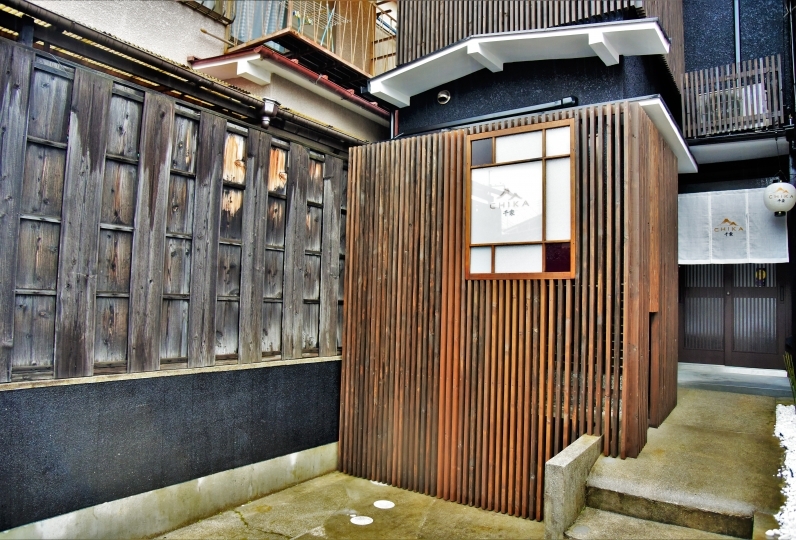 ・Please note that, as it is an old traditional house, there are many steps at the lodging, and may be difficult to navigate for guests requiring a wheelchair or other mobility aids.